What is supply chain integrity? For many businesses, it is the heart and soul of the company’s success. Supply chain integrity is the safety of your company’s supplies, quality of your finished goods, visibility throughout your supply chain, and cost containment in the process. Importantly, it is free from being compromised, interrupted and / or stolen. It’s what makes a business run smoothly and protects the brand and customers, while maintaining business continuity. Supply chain integrity is compromised by loss of control; when a shipment is unattended, by lack of visibility to location or condition of the cargo, by not knowing when it left or if it arrived (or will arrive) for its appointed time. 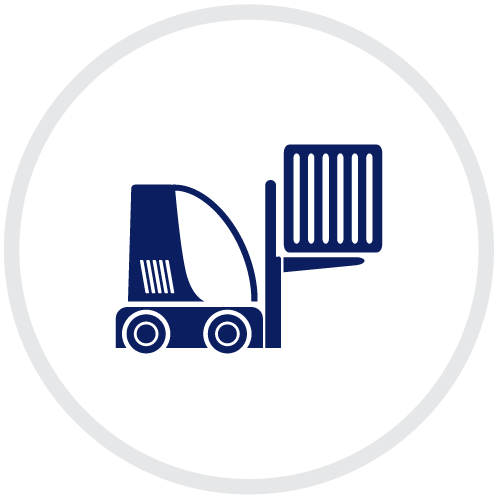 A compromised or detained shipment can have major impact on business continuity. A stolen shipment can be disastrous. Cargo security is a major issue for many companies and is one of the top three threats to business operations. Billions of dollars worth of merchandise is stolen each year from cargo ships, ports, highways, railroads, and freight yards. It is clear that the necessity to protect your supply chain integrity is real and urgent. There are so many points at which supply chain integrity can be interrupted or compromised; it only makes sense to protect this valuable function of the business with integrated and layered security solutions. Many companies need to know the status or condition of the products. Adding various sensors to the solution can provide real-time condition of goods. Plus, you can create the same event-based alerting utilized in securing the goods. Event-based protocols (business rules) that are monitored 24/7/365 ensures cargo and shipments keep their integrity, business rules are followed, and processes are documented. A customized program can manage continuity and security at every step in the supply chain through each tendering point that meets the cargo security. Comprehensive supply chain integrity solutions from proactive security integrated technologies (i.e., GPS, RF Beaconing, etc.) for layered security are available to ensure cargo visibility. Your brand will have the best protection possible to keep your business moving. Visibility of your products is more valuable than the assets moving them. It is the goods that flow through numerous entities in the supply chain that move from one asset to another, which all functional schedules are focused upon. To protect your supply chain integrity, trust industry leader CalAmp SCI (formerly known as LoJack SCI). We’re a $400 million publicly traded company with over 7 million devices under management on our platforms. With the most complete supply chain protection solution, CalAmp SCI offers its diverse clientele the assurance they need to know their enterprise is secure. Would you like more information? How about viewing a demo? Visit CalAmp SCI at the ASIS 2016 conference on Monday, September 12, 2016 through Thursday, September 15, 2016. Our booth is #1540. For more information, click here.